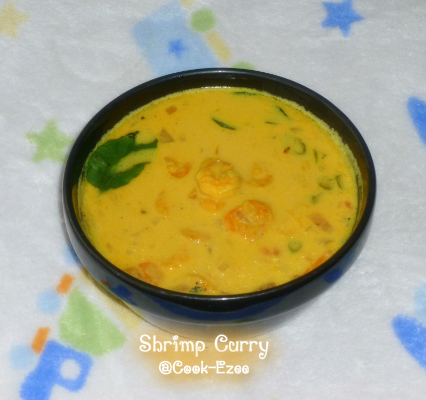 I have been making this Shrimp curry from some long time. This Shrimp/Chemmeen curry evolved out of my normal Shrimp Masala recipe. One time by mistake I added more chilly powder to the shrimp masala and to reduce the spice level I added coconut milk and made shrimp curry instead. 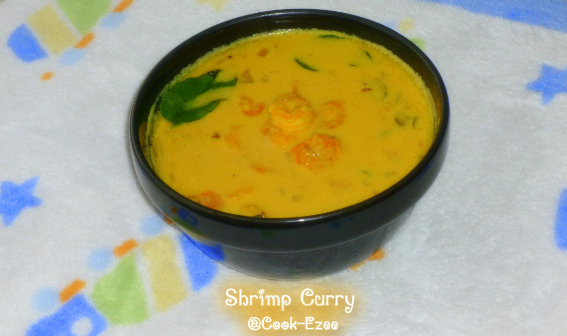 That Shrimp curry was so different and unique in taste that I started making this more often with lot of variations. 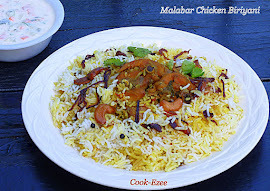 I made this for kids Birthday Party and everyone enjoyed it as well :) My friends had been requesting to post this recipe from then. 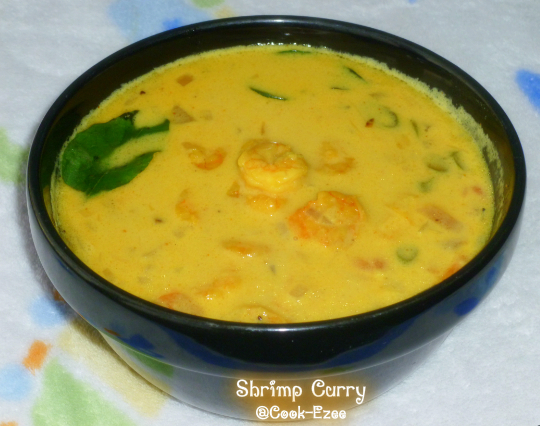 So sharing this Shrimp Curry made with Coconut Milk to all my wonderful readers and friends. Try this and I'm sure you will make this more often too. Enjoy!!!!!! Wash and clean the Shrimp, marinate it with turmeric powder, 1 tsp chilly powder, pepper powder, salt and set aside for an hour. Heat oil in a pan, add crushed ginger-garlic, curry leaves and saute for a minute. Add Onion,salt and saute for a while till they turn translucent. Add tomato, few chopped coriander leaves and saute well till they become soft. Add the remaining 1tsp chilly powder, garam masala and saute well till they mix well with onion-tomato mix. Add the thin coconut milk and mix well(add 1/2 cup or more water as per gravy requirement). Simmer the stove to medium and let the gravy boil for few mins(three-five mins). Add the thick coconut milk and mix well. When they reach the boiling point - ie when you see the bubbles forming from the edges switch off the flame. 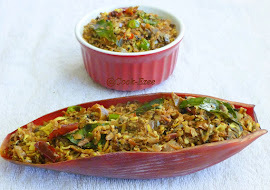 1) Using Garam Masala is optional but gives great aroma n taste to the curry. 2) You can add tamarind paste/tamarind water as well to get a slight tangy taste. 3) You can crackle mustard seeds and at the start of the cooking process if desired. 4) I used canned coconut milk for cooking. Thin coconut milk was made by diluting half cup coconut milk with half cup water. Delicious curry..i love this with rice. 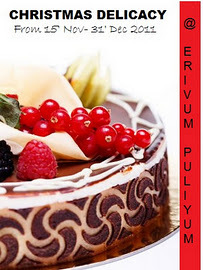 yummy yummy ..I love this a lot! !